Fimu and its member organizations took part in Naisten 10 -event in Helsinki 24.5.2015. A total of 11 women from Arabialaisen kulttuurin yhdistys Äs-sänbil, Yökoris, HNMKY and Fimu ry joined the jogging path. In the beginning the group divided into three groups and route passed either jogging or walking. 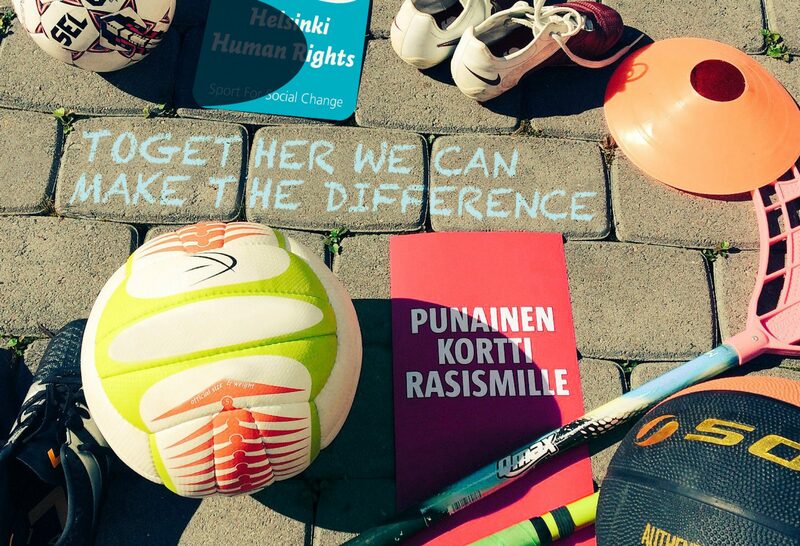 Participants wore Punainen kortti rasismille t-shirts and got a lot of positive feedback. People gave encouragement to the participants and told them to keep up the good and important work. At the end of the day groups gathered together to share the feelings of the day. All in all 16 000 women took part in the Naisten 10 -event. Thank you all the participants for the nice day together!